Halloween is Here and We Remember The FIRST DCOM in Under Wraps as it Celebrates 20 Years this Year! HomeHalloween is Here and We Remember The FIRST DCOM in Under Wraps as it Celebrates 20 Years this Year! Halloween is almost upon us and with parades, costumes, and candy on the brain, you can’t help but watch some of the great classic Halloween Television Films and Specials. Disney Channel has always had a great history of spooky tales, and things that could be considered ‘Halloween’ movies. 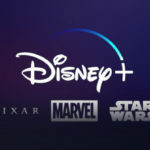 That leads up to the modern TV classic Under Wraps which is the first Disney Channel Original Movie (DCOM) which now has become a common thing over the years with many DCOM’s being some of the most watched on TV. 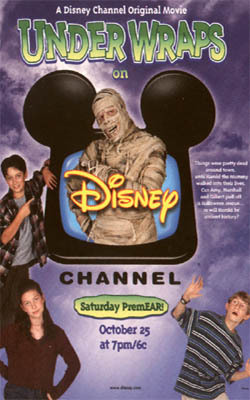 Under Wraps debuted on the Disney Channel on October 25, 1997 just in time for Halloween. And how could it not put you in the seasonal mood with a Mummy as one of the main characters. 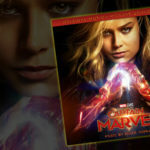 The film tells the story of three kids (12 years old) who uncover a mummy in the basement of a dead man’s home. And in true Disney fashion, the mummy comes alive because of the moonlight. This mummy, however turns out to befriend them, much like Billy in Hocus Pocus, and he is named Harold. Harold then lives in their bedroom and fun ensues. Now where does the catch come into play? Well if he doesn’t make it into his coffin before midnight on Halloween Night he will have never existed. So the kids set out on an adventure to find his sarcophagus in oder to save his after-life. The film is a true Disney television gem and really gets you in a playful Halloween mood. The cast is what you would expect from a DCOM, but most children will still find this one to be fun to watch and it never really seems dated or from 1997. You can watch this film as part of the Disney Now App currently in the Halloween section, and Under Wraps is available to buy on DVD if you Amazon it. So sit down, get your fright on and feel the nostalgia from your childhood that turns 20 years old this year.